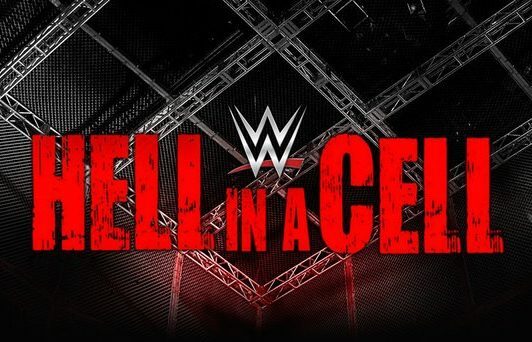 WWE Hell in a Cell Results (10/8): Mahal vs Nakamura, Shane vs Owens! WWE Hell in a Cell Results (10/8): Kevin Owens vs Shane McMahon, Tag Titles Decided Inside HIAC & More! Welcome to ProWrestling.com’s exclusive live coverage and discussion page for WWE Hell in a Cell! Tonight’s show kicks off at 7:00PM EST with the official Kickoff Show streaming live on the WWE Network. Join us all night long as we discuss the pay-per-view in our brand new comments section. Simply log in using your Disqus, Facebook, Twitter or Google account and you’re good to go! – Renee Young, David Otunga and Peter Rosenberg welcome us to the Kickoff Panel and run down some of the matches on tonight’s card. – Tye Dillinger is backstage showing Daniel Bryan his pinfall victory over Baron Corbin at the most recent episode of Smackdown Live. He asks to be put into the championship match tonight, and Bryan thinks that sounds like a “perfect ten” of an idea. They go back and forth doing the “TEN” and “YES” chants before the GM makes a U.S. Championship triple threat match official. – Aiden English joins the Kickoff Panel to discuss his friendship with Rusev, and his recent nine second victory over Randy Orton. Some of the fans in the arena are chanting for him, which surprises Renee. English sings a really obnoxious song dedicated to his new best friend. – Charlotte Flair is the guest on the Social Media Lounge tonight. The challenger says she is “nervous but excited” about her upcoming match. It’s brought up that Charlotte has a chance to become the first and only woman in history to win the NXT Women’s Championship, Divas Championship, Raw and Smackdown Women’s Championships. 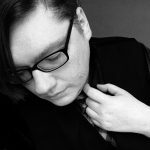 – Baron Corbin has learned that his match tonight is now a triple threat, and is clearly not very happy about it. He screams about wanting Styles one-on-one and the nepotism of Daniel Bryan being “friends” with Dillinger and Styles screwing him over. Corbin says it doesn’t matter and vows to become the new U.S. Champion before the night is over. Mojo starts things out shaking off the grappling of Chad Gable, taking him down to the mat with some hard shoulder tackles. Zack tags himself in the hard way showing a bit of animosity between the Hype Bros is still a factor. Benjamin tags in and locks up with Ryder as the two veterans go to work. A bit of a feeling out process as they trade hold for hold. Zack gets the better of the exchange but the Gold Standard lured him in with a handshake and planted him with a big belly-to-belly suplex. Gable tags back in and goes to work with stiff right hands and kicks in the corner, showing some aggression as they keep Ryder cornered. After several minutes Zack mounts a comeback and connects with a big missile dropkick off the top rope, finally making the hot tag to his partner. Mojo comes in with a head full of steam and runs through his opponents. Gable takes an impressive tilt-a-whirl powerslam but it’s only enough to get two. Gable fires back with another strong suplex and goes up top, coming off with a beautiful top rope moonsault for an extremely close nearfall. Benjamin hits the T-Bone suplex as Ryder gets knocked off the apron, but it’s another false finish as the Hype Bro kicks out. Zack tags himself back in and goes for the Rough Rider, but Benjamin comes out of nowhere and plants him with the Pay Dirt! Mojo breaks up the pin at the last second but gets thrown to the outside as Ryder gets hit with the Grand Amplitude for the 1-2-3.